Goodreads summary: "As Henry VIII draws his last breath, two very different women, Jane Dudley, Viscountess Lisle, and Frances Grey, Marchioness of Dorset, face the prospect of a boy king, Edward VI. For Jane Dudley, basking in the affection of her large family, the coming of a new king means another step upward for her ambitious, able husband, John. For Frances Grey, increasingly alienated from her husband and her brilliant but arrogant daughter Lady Jane, it means that she — and the Lady Jane — are one step closer to the throne of England. Then the young king falls deathly ill. Determined to keep England under Protestant rule, he concocts an audacious scheme that subverts his own father’s will. Suddenly, Jane Dudley and Frances Grey are reluctantly bound together in a common cause — one that will test their loyalties, their strength, and their faith, and that will change their lives beyond measure." You guys, I'm SUCH an anglophile and will basically read anything that mentions anything about the time period of Henry VIII, Elizabeth I and all the troubles of the times between his death and her actually getting on to the throne. I LOVE all the court intrigue and the drama that goes along with it. Though I'm exceedingly thankful not to actually be living in the time it all went down. So when I saw this one being about Jane Grey, the Queen of England for all of 9 days, I knew I had to read it. Jane Grey is in my opinion one of the most tragic figures in the history of England's monarchy and though I never really liked her when I came across her in the other Tudor novels, I always felt bad for her, cause I don't think she really meant anyone harm in assuming the throne. And to see all the events partly through her mother's eyes was really interesting! I didn't really know a lot about the girl herself or her upbringing or that she had a husband! I could have just missed it, but I haven't seen much mention of said (and sad) husband before. The POV switches between Jane Dudley, the mother of THE Robert Dudley (who will look like Joseph Fiennes in my mind) and Frances Grey, mother of Jane Grey. I loved that these two ladies were married to two of the most powerful men in England, the Duke of Northumberland and the Duke of Suffolk, and because of that were in the know about all the intrigue and basically everything going on. I liked reading Jane Dudley's chapters better, I felt that in the end she was a better person and I loved that she became such a mama bear fighting for her children and husband in the only way she could: through court politics. I clicked less with Frances Grey, she was a bit distant and sometimes cold and I couldn't fully connect with her character. Also at one time I was SO angry at her, though I can relate to her reasons for doing what she did, but still, it wasn't right what she did. I enjoyed it all: the drama, the good times, the court intrigue, even the beheadings (though I was REALLY sad at most of the beheadings). From the beginning there's a huge sense of foreboding, and obviously I knew it couldn't end well for most of the characters I was reading about, but still, I was rooting for them and wishing that maybe this time it would be different. But alas, it all happened over 450 years ago and I cannot turn back time. 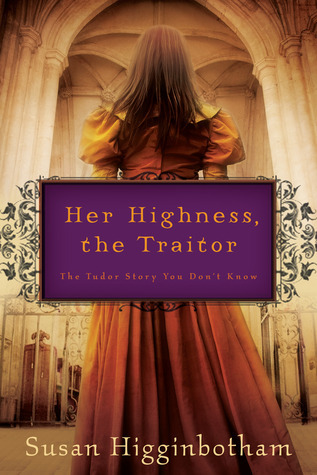 Susan Higginbotham really managed to bring history to life with Her Highness, the Traitor and I loved seeing the 'villains' of history from another perspective. Experiencing all the things that went down in that time through the eyes of the wives of these powerful man made it become real instead of a summing up of facts and it was just wonderful. The writing was engaging and though sometimes I wished the story would hurry up a bit, I was never once bored. I would absolutely recommend it to historical fiction fans! I reviewed this one for Shelf Awareness, and I enjoyed it too. I felt like sometimes the writing was a little anachronistic (I particularly remember several references to "hangovers" which seemed out of place)-- but I agree that the intrigue and plot were great. I liked Jane Dudley better than Frances Grey too. I know we're supposed to be talking about books on here, but I wanted to mention that if you want to find out more about Jane Grey, you should check out the movie "Lady Jane". It's about her life and marriage from her perspective and stars Helena Bonham Carter. I adored it. I just won this book from another site so I'm very excited to read it! I love the story of Jane Grey too! Did you know there's a movie about her? It's called Lady Jane and it's really fantastic. It's a bit older, so you might have to hunt it down. Anyway, not gushing about a movie... ha! This book sounds great and I'll definitely have to check it out. Not my usual read, but like I said, I love Jane Grey and like you feel that she's really such a tragic figure in the English monarchy. I have to read this!! I LOVE Henry VIII fiction! I have so many on my TBR for summer break and I am adding this one ASAP! I've only recently come to enjoy reading historical fiction, and this definitely sounds like a fantastic read. 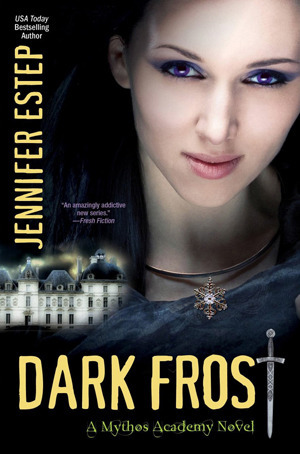 Adding this to my TBR pile for sure!